Based on the popular kids books by Dav Pilkey, two mischievous kids hypnotize their mean high school principal and turn him into their comic book creation, the kind-hearted and elastic-banded Captain Underpants (voiced by Ed Helms). The voice cast also includes Thomas Middleditch, Jordan Peele, Kevin Hart, Kristen Schaal, and Nick Kroll. Directed by Patty Jenkins, an Amazonian princess (Gal Gadot) leaves her island home to explore the world and, in doing so, becomes one of the world’s greatest heroes. This has been a long time coming, but Wonder Woman is finally on the big screen with her own film, and it looks awesome. The film also stars Chris Pine, Robin Wright, Connie Nielsen, David Thewlis, Elena Anaya, Ewen Bremner, Elanor Matuura, Said Taghmaoui, Samantha Jo, and Danny Huston. Based on the novel by Daphne Du Maurier, and adapted by Roger Michell. A young Englishman plots revenge against his mysterious, beautiful cousin, believing that she murdered his guardian. But his feeling become complicated as he finds himself falling under the beguiling spell of her charms. The film stars Sam Claflin, Rachel Weisz, Holliday Grainger and Iain Glen. Based on the true life story of a young Marine Corporal whose unique discipline and bond with her military combat dog saved many lived during their deployment in Iraq. The film Kate Mara, playing Megan Leavey, Common, Tom Felton, Will Patton, Ramon Rodriguez, Edie Falco and Bradley Whitford. Secure within a desolate home as an unnatural threat terrorizes the world, a man has established a tenuous order with his wife and son, but this will soon be put to test when a desperate young family arrives seeking refuge. The film looks completely eerie and one of those films I can’t wait to see now that trailer has been released. It Comes At Night stars Joel Edgerton, Riley Keough, Carmen Ejogo, Christopher Abbot and Kelvin Harrison Jr. The start of the new shared Monsters Universe that Universal is setting up, an ancient queen (Sofia Boutella) is awaked from her crypt beneath the desert, bringing with her malevolence grown over millennia, and terrors that defy human comprehension. The film stars Tom Cruise, Annabelle Wallis, Jake Johnson, Courtney B. Vance, Javier Botet and Russell Crowe as Dr. Henry Jekyll. Colin Trevorrow returns to his smaller indie side with The Book of Henry that follows a single mother (Naomi Watts) raising a child genius (Jaeden Lieberher) that turns into something a little more darker. I honestly thought this was going to be a typical indie drama film, but once I saw the trailer it was something completely different, and honestly I don’t know how I feel. I am going to watch it, but my expectations have done a complete 180. The Book of Henry also stars Jacob Tremblay, Lee Pace, Sarah Silverman, Maddie Ziegler, Bobby Moynihan and Dean Norris. Two sisters (Mandy Moore and Claire Holt), vacationing in Mexico, are trapped in a shark cage at the bottom of the ocean, with less than an hour of oxygen left and great white sharks circling nearby. The film also stars Matthew Modine. Follows Tupac Shakur’s career from his time at Death Row Records, his involvement in the rivalry between East coast and West coast rappers, to his murder in 1996. I’m sure the audience will be there, but the trailer didn’t really hook me in, and what’s worst, is that it looks like a straight to TV movie. Hopefully it’s good for those that end up watching it. The film stars Demetrius Shipp Jr., Danai Gurira, Kat Graham, Annie Ilonzeh, Dominic L. Santana, Jamal Woolard, Cory Hadrict and Lauren Cohan. A male stripper ends up dead at a Miami beach house during a bachelorette party weekend. The film stars Scarlett Johansson, Kate McKinnon, Jillian Bell, Ilana Glazer, Zoe Kravitz, Colton Haynes, Dean Winters, Ty Burrell and Demi Moore. Lightning McQueen (Owen Wilson) sets out to prove to a new generation of racers that he’s still the best race car in the world. The newest trailer really goes away from the darker toned teasers, which I’m kind of bummed about, but knew that was going to be the case. Humans and Transformers are at war, Optimus Prime is gone. The key to saving our future lies buried in the secrets of the past in the hidden history of Transformers on Earth. I just can’t with this franchise anymore. I really can’t. A dystopian love story in a Texas wasteland and set in a community of cannibals. The film has a rather impressive cast of Keanu Reeves, Jason Momoa, Diego Luna, Giovanni Ribisi, Suki Waterhouse, and Jim Carrey. Based on Thomas Cullinan’s novel, and directed and written by Sofia Coppola, while imprisoned in a Confederate girls’ boarding school, an injured Union solider cons his way into each of the lonely women’s hearts, causing them to turn on each other, and eventually, on him. The film stars Colin Farrell, Kirsten Dunst, Nicole Kidman, Elle Fanning, Angourie Rice, and Oona Laurence. 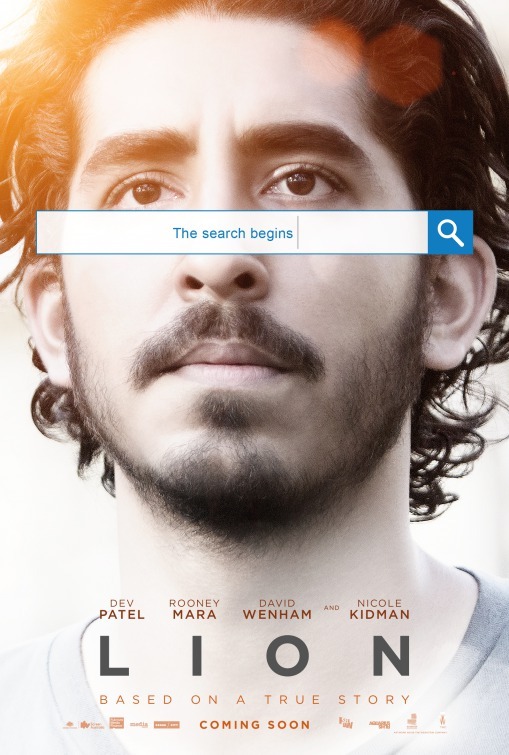 Based on the true story of writers Emily V. Gordon and Kumail Nanjiani, a couple (Nanjiani playing himself while Zoe Kazan playing his wife, Emily) deals with their cultural differences as their relationship grows. The film also stars Holly Hunter, Ray Romano, Adeel Akhtar, Kurt Braunohler and Linda Emond. Edgar Wright directs this film about a getaway driver named Baby (Ansel Elgort), who plays his own soundtrack due to a condition he has. However, he finds himself taking part of a heist doomed to fail and everyone after him. The film also stars Lily James, Jon Hamm, Jamie Foxx, Eiza Gonzalez, Jon Bernthal and Kevin Spacey. A single mother (Jennifer Jason Leigh) moves her three children into a haunted house, unaware of its bloody history. I really hope this finally comes out, not necessarily because I want to see it, but because this film has been moved around so many times I think it’s best to just release it and take the hit. The film also stars Bella Thorne, Cameron Monaghan, Taylor Spreitler, Thomas Mann, Mckenna Grace and Kurtwood Smith. A dad convinces his friends to start an illegal casino in his basement after he and his wife spend their daughter’s college fund. Will Ferrell, Amy Poehler, Allison Tolman, Andrea Savage, Rob Hubel, and Sam Richardson. Gru (Steve Carell) has to stop Balthazar Bratt (Trey Parker), a child star from the 1980s, who has a scheme to take over the world. However, he also has to deal with his long lost brother. The voice cast also includes Kristen Wiig, Miranda Cosgrove, Dana Gaier, Nev Scharrel, Steve Coogan and Russell Brand. It’s Turkey Month ladies and gentlemen! Happy Early Thanksgiving! It’s now at the point that we have a great film or films coming out every week and some that will for sure divide films fans. Now let’s jump right into the fray and see what’s coming out! Loving has been getting some great reviews on the film festival circuit, and it helps that the film is based on a true story. 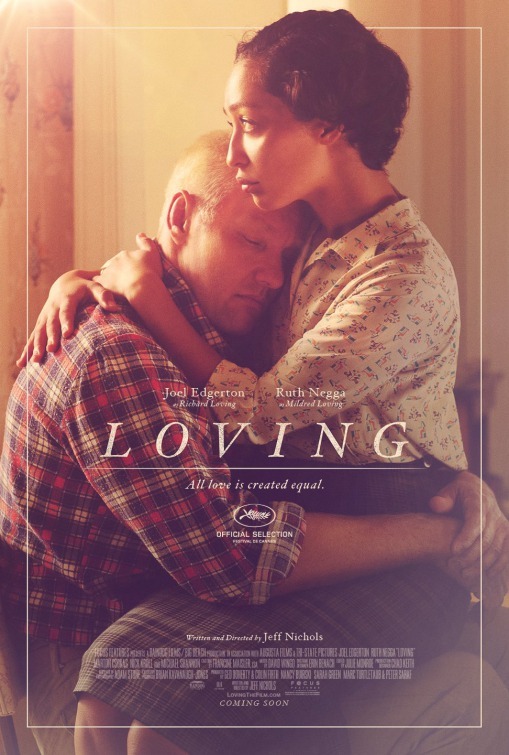 Richard and Mildred Loving (Joel Edgerton and Ruth Negga), an interracial couple, are sentenced to a prison in Virginia in 1958 for getting married. The film also stars Will Dalton, Alano Miller, Chris Greene, Sharon Blackwood, Nick Kroll, Bill Camp, Marton Csokas, and Michael Shannon. Yes, a movie about those lovable toys from the 80s is getting a feature-length filmed. Does it really matter what it’s about? You’re taking your kids to go see whether you like it or not! 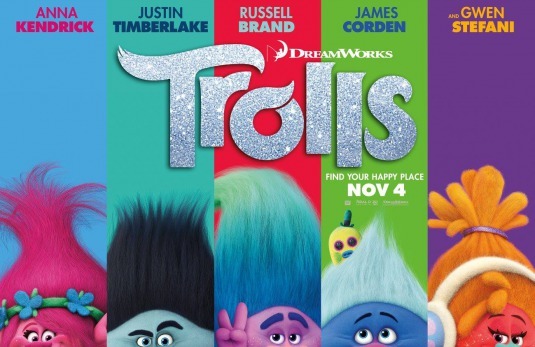 The voice cast includes Anna Kendrick, Justin Timberlake, James Corden, Zooey Deschanel, Gwen Stefani, Christopher Mintz-Plasse, Kunal Nayyar, Quvenzhane Wallis, Russell Brand, Ron Funches, Christine Baranski, Jeffrey Tambor and John Cleese. 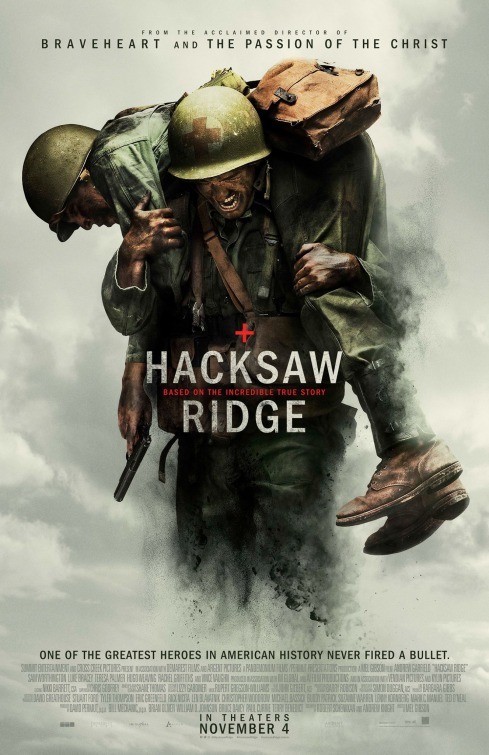 Mel Gibson returns to the director’s chair with this film that follows WWII American Army Medic Desmond T. Doss (Andrew Garfield), who served during the Battle of Okinawa, who refused to pick up a gun and kill, and became the first Conscientious Objector in American history to be awarded the Medal of Honor. Say what you will about Mel Gibson, the man knows how to direct and the film looks great. Hacksaw Ridge also stars Teresa Palmer, Sam Worthington, Luke Bracey, Rachel Griffiths, Matt Nable, Vince Vaughn and Hugo Weaving. Marvel is once again being ambitious by bring the magic side of the comics to life. After his career is destroyed, a brilliant but arrogant surgeon gets a new lease on life when a sorcerer takes him under his wing and trains him to defend the world against evil. 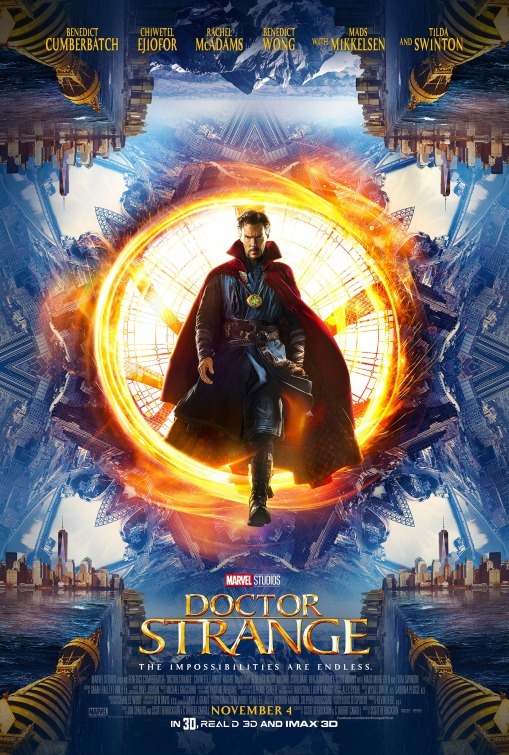 Scott Derrickson directs Benedict Cumberbatch as Dr. Stephen Strange aka Doctor Strange, Tilda Swinton as The Ancient One, Chiwetel Ejiofor as Baron Mordo, Rachel McAdams, Mads Mikkelsen, Michael Stuhlbarg, and Scott Adkins. The film looks pretty trippy and, yes, does have an Inception-vibe, but with a cast like this, and director Scott Derrickson onboard, we’re looking at another big hit for Marvel. Based on the novel by Phillppe Djian, and directed by Paul Verhoeven, the film follows a successful businesswoman (Isabelle Huppert), who gets caught up in a game of cat-and-mouse as she tracks down the unknown man who raped her. 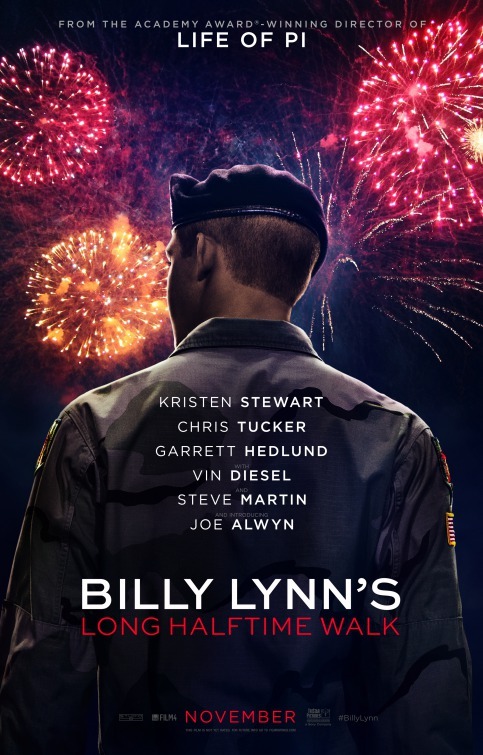 Directed by Ang Lee and based on the novel by Ben Fountain, 19-year-old Billy Lynn (newcomer Joe Alwyn) is brought home for a victory tour after a harrowing Iraq battle. Through flashbacks the film shows what really happened to his squad – contrasting the realities of war with America’s perceptions. The film doesn’t look that bad, and Ang Lee is doing the interesting move on filming the movie in a high-frame rate. The film will star Vin Diesel, Chris Tucker, Garrett Hedlund, Kristen Stewart, Makenzie Leigh, Tim Blake Nelson, and Steve Martin. A widowed child psychologist (Naomi Watts), who lives in an isolated existence in rural New England with her comatose son (Charlie Heaton), gets caught in a deadly winter storm. However, that’s not her only problem as she starts to question her reality and tries to find a boy (Jacob Tremblay) she recently lost under her care. The film looks pretty creepy, and the isolation aspect could lead to some great moments. The film also stars Crystal Balint, Tim Post, Clementine Poidatz and Oliver Platt. A dysfunctional family gathers together for their first Thanksgiving since their mom died. 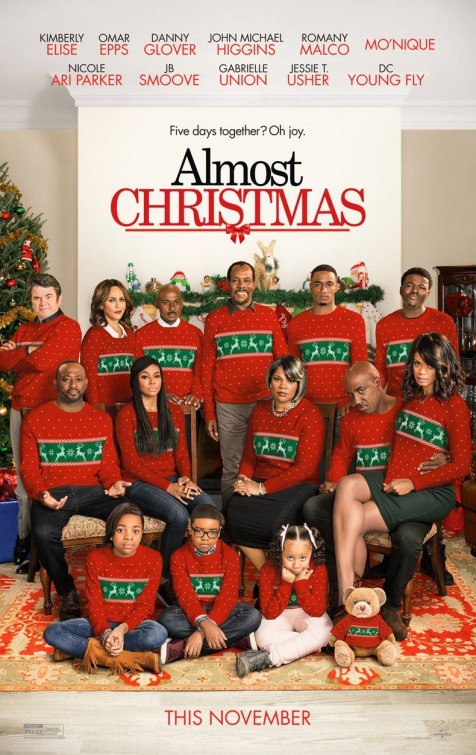 The cast includes Danny Glover, Gabrielle Union, Jessie Usher, Omar Epps, Mo’Nique, Nicole Ari Parker, and Kimberly Elise. Directed by Denis Villeneuve (Prisoners, Sicario), the film takes place after alien crafts land around the world, an expert linguist is recruited by the military to determine whether they come in peace or are a threat. 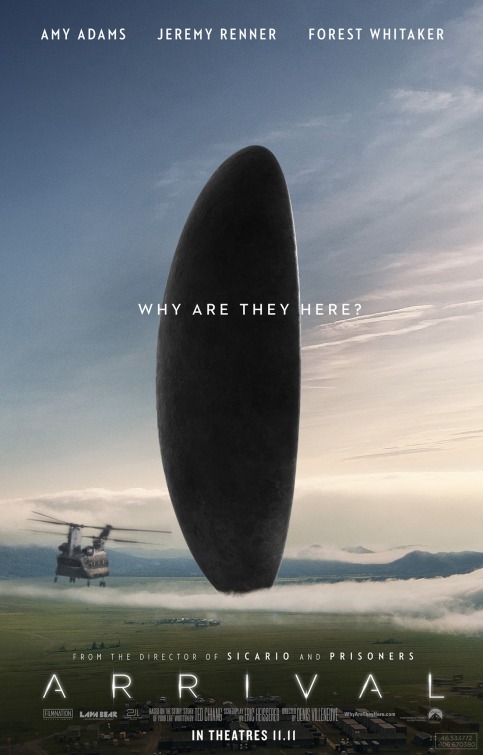 Arrival has some good things going for it. Villeneuve is a great director and has a cast of Amy Adams, Jeremy Renner, Forest Whitaker, Michael Stuhlbarg and Tzi Ma. It also helps that early reviews have been nothing but positive, even saying Arrival could be a surprise Oscar contender. A young con artist (Richard Madden) and former CIA agent (Idris Elba) embark on an anti-terrorist mission in France. The film was originally titled Bastille Day, a special holiday in France, the film was pushed back and delayed after the attacks in France, and is now getting a release date. The film also stars Kelly Reilly, Charlotte Le Bon, and Anatol Yusef. A young, lonely woman is consumed by her deepest and darkest desires after tragedy strikes her quiet country life. The film looks rather creepy to be honest, and the fact that the film is shot in black and white makes it all the more. An uncle (Casey Affleck) is forced to take care of his teenage nephew after the boy’s father dies, but is also dealing with his own personal troubles. 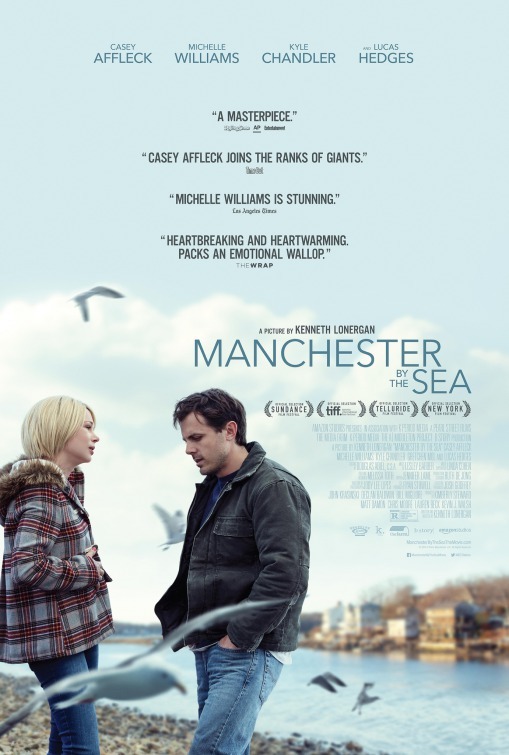 Manchester by the Sea looks absolutely fantastic, and I’ve hear NOTHING but good things about this. The film also stars Kyle Chandler, Michelle Williams, Matthew Broderick, Josh Hamilton and Tate Donovan. Based on Austin Wright’s novel “Tony and Susan,” an art gallery owner is haunted by her ex-husband’s novel, a violent thriller she interprets as a veiled threat and a symbolic revenge tale. Again, another film with a great cast that I’m surprised is getting a limited release. 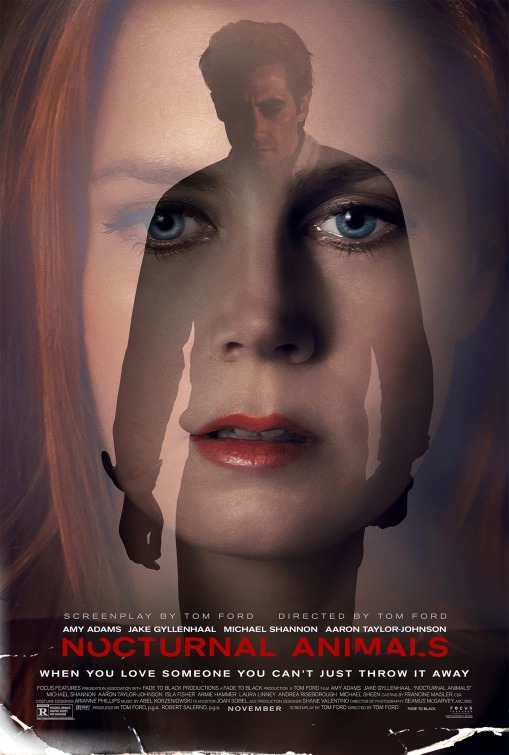 Nocturnal Animals stars Jake Gyllenhaal, Amy Adams, Isla Fisher, Armie Hammer, Aaron Taylor-Johnson, Laura Linney and Michael Shannon. Based on the story of World Champion Boxer Vinny Pazienza (Miles Teller), who after a near fatal car crash which left him not knowing if he’d ever walk again, made one of sport’s most incredible comebacks. The film doesn’t look to bad really, and I’m a bit surprised it’s only getting a limited release. 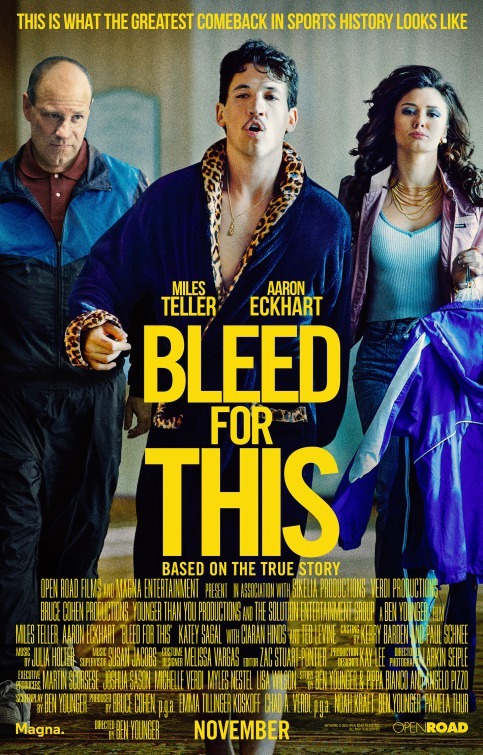 Bleed for This also stars Katey Sagal, Aaron Eckhart, Ted Levine, and Ciaran Hinds. 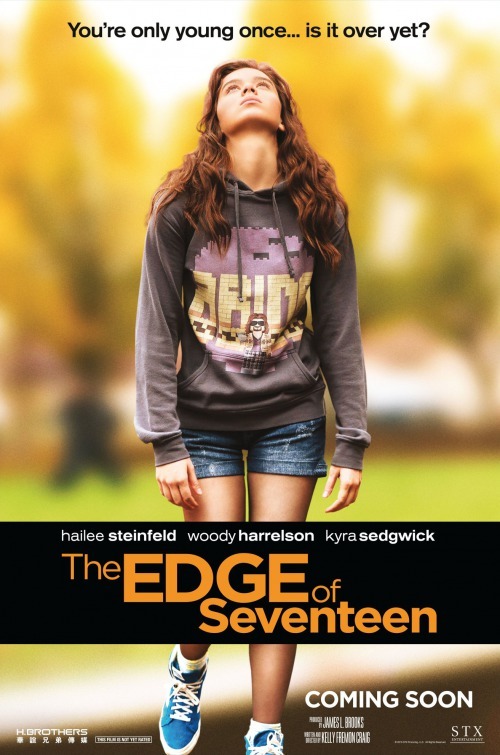 High-school life gets even more unbearable for Nadine (Hailee Steinfeld) when her best friend, Krista (Haley Lu Richardson), starts dating her older brother (Blake Jenner). I didn’t really think anything about this, I thought it would be just another teeny bopper movie, but I saw the trailer and it does looks pretty damn funny. The film also stars Woody Harrelson, Alexander Calvert, and Kyra Sedgwick. 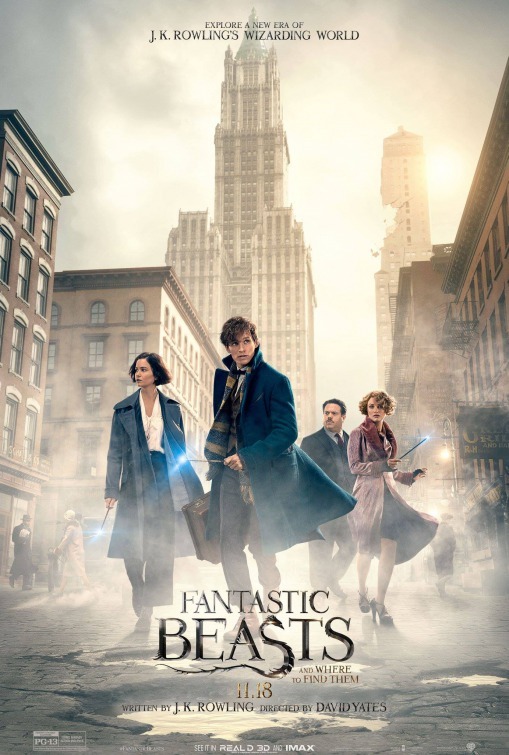 Set 70-years before the events of Harry Potter, J.K. Rowling brings us back to the Wizarding World by following writer Newt Scamander (Eddie Redmayne) who ends up in New York with a secret community of witches and wizards, and has to track down fantastic beasts that have gotten out of his magical briefcase. Harry Potter series director David Yates comes back to direct and also stars Katherine Waterston, Ezra Miller, Alison Sudol, Samantha Morton, Dan Fogler, Colin Farell, Ron Pearlman, and Jon Voight. 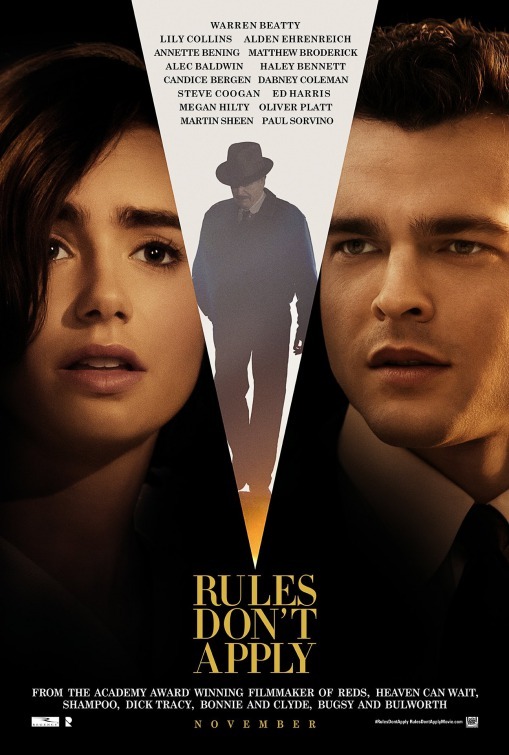 Warren Beatty returns behind the camera after twenty plus years, and follows an unconventional love story of an aspiring actress (Lily Collins), her determined driver (Alden Ehrenreich), and the eccentric billionaire (Beatty) who they work for. There was something about the trailer that doesn’t grab me, and if the trailer has trouble define what tone it’s going to take, that is a bit of a problem. The rest of the cast is also great with Haley Bennett, Alec Baldwin, Taissa Farmiga, Matthew Broderick, Steve Coogan, Annette Bening, Ed Harris, Candice Bergen and Martin Sheen. 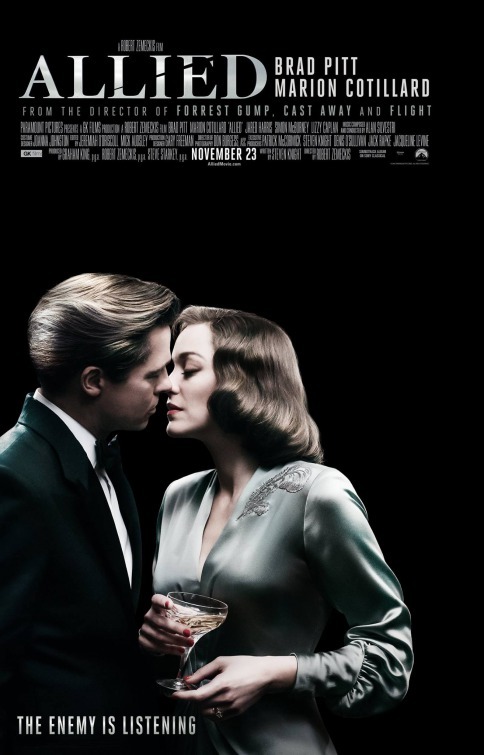 Robert Zemeckis directs and Steven Knight (Locke, The Hundred-Foot Journey, Peaky Blinders) writes Allied. Set in 1942, Max (Brad Pitt), a French-Canadian spy, falls in love and marries French agent Marianne (Marion Cotillard), after a mission in Casablanca. Max is notified that Marianne is likely a Nazi spy and begins to investigate her. Allied also stars Lizzy Caplan, Matthew Goode, Raffey Cassidy, Charlotte Hope and Jared Harris. 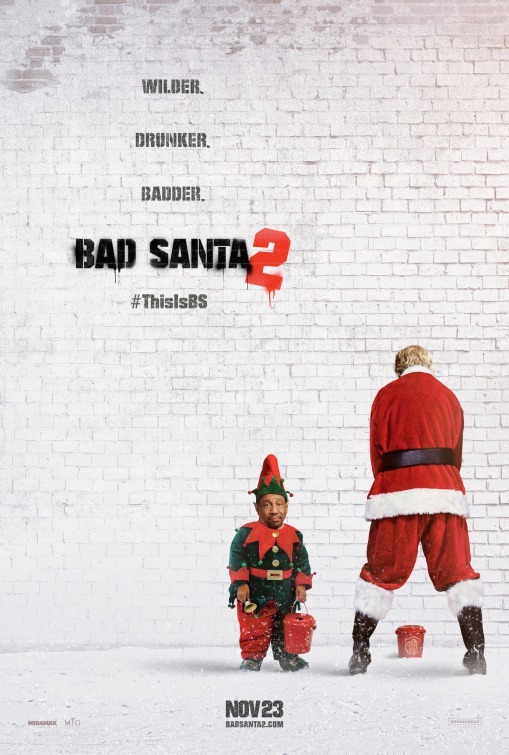 The long awaited sequel to Bad Santa will finally arrive, and fans look to be excited. The film will bring back Willie (Billy Bob Thornton) as he’s roped into another heist by his fresh-out-of-jail -sidekick Marcus (Tony Cox) to knock off a Chicago charity on Christmas Eve, the problem is that Willie’s mother, played by Kathy Bates, finds out and joins in. The film will also stars Christina Hendricks, Brett Kelly, and Ryan Hansen. 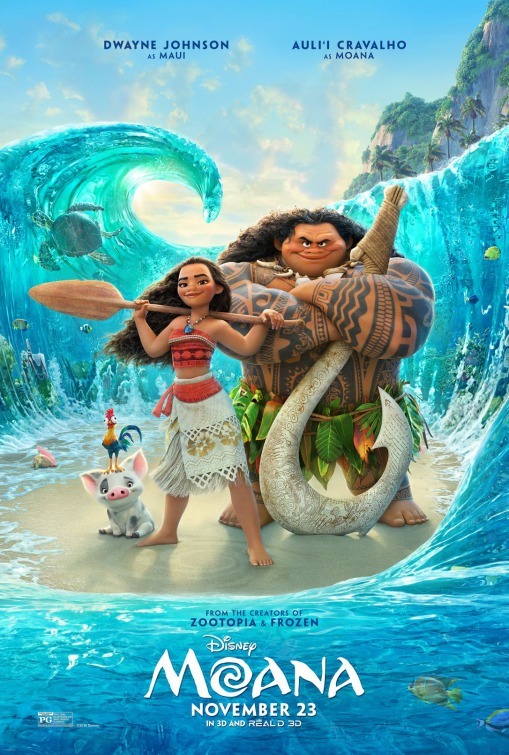 A young woman, Moana (Auli’I Cravalho) uses her navigational talents to set sail for a fabled island. Joining her on the adventure is her hero, the legendary demi-god Maui (Dwayne Johnson). The film is being directed by longtime Disney animated film directors Ron Clements and John Musker, who have directed films like The Little Mermaid, Aladdin, Hercules, Treasure Planet, and The Princess and the Frog. The rest of the voice cast includes Jemaine Clement, Nicole Scherzinger, and Alan Tudyk. 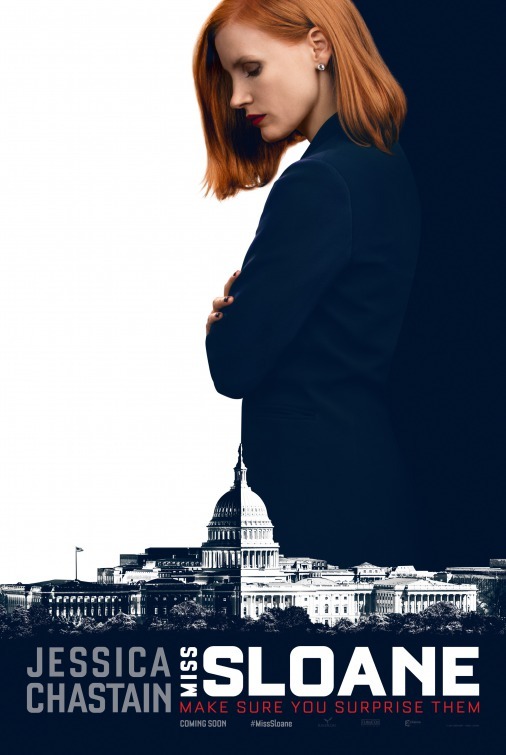 An ambitious lobbyist, played by Jessica Chastain, faces off against the powerful gun lobby in an attempt to pass control legislation. The film also stars Gugu Mbatha-Raw, Allison Pill, Mark Strong, Michael Stuhlbarg, Dylan Baker, Douglas Smith, John Lithgow and Sam Waterston.